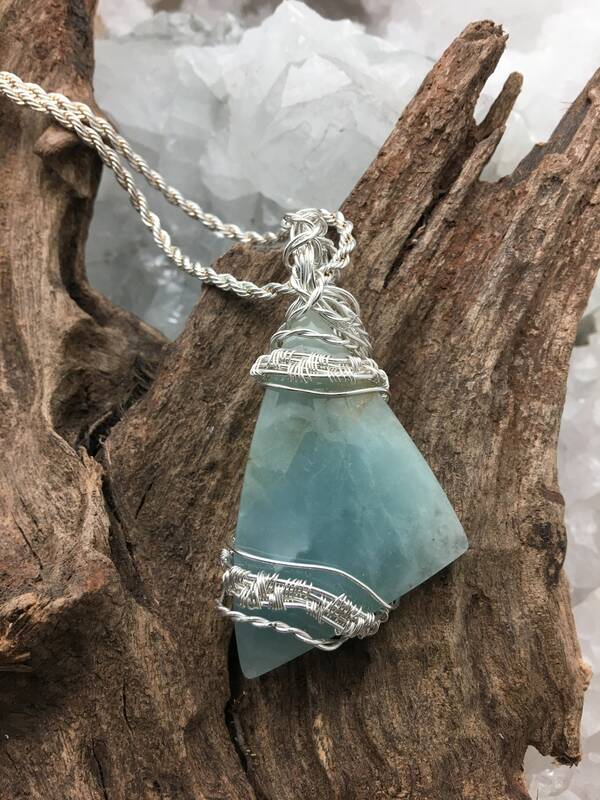 This lovely piece of ocean blue chalcedony is wrapped with woven sterling wire and hangs from a sterling chain. Including the bail, it is 2.75 x 1.25". The color is such a pretty light ocean blue. 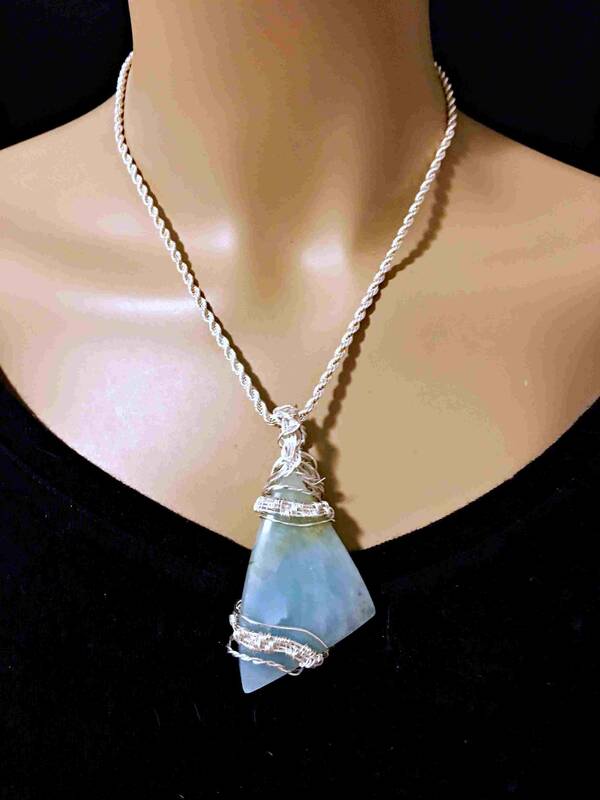 Blue Chalcedony is an excellent crystal for public speakers and those who speak for a living. Lawyers and political speakers might benefit from touching this stone to the tip of their tongue while listening to their opponents to enhance their counter arguments. 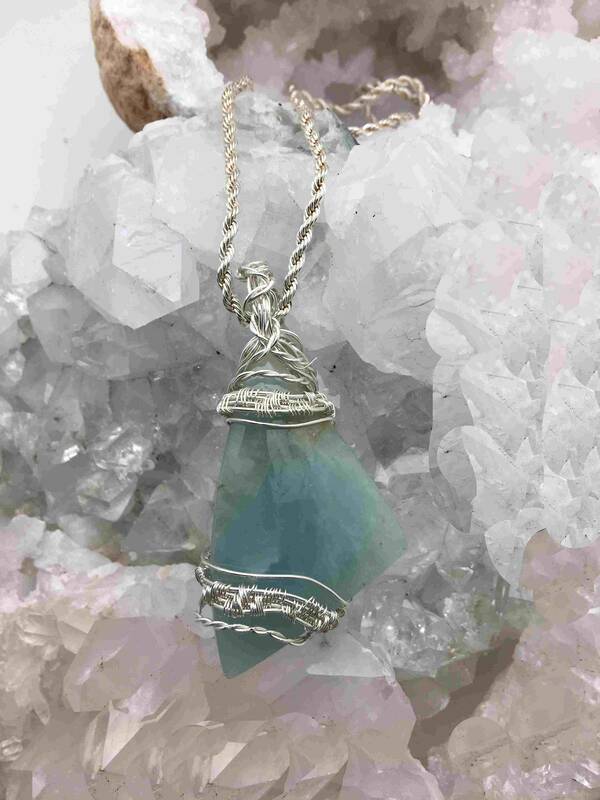 Blue Chalcedony brings a strong energy to the Throat Chakra and is a calming and warming stone. Also, I stand behind the workmanship and quality of my pieces. If a piece has not been dropped or broken by mis-handling it, I will repair anything that has to do with the workmanship that might happen under normal wear.